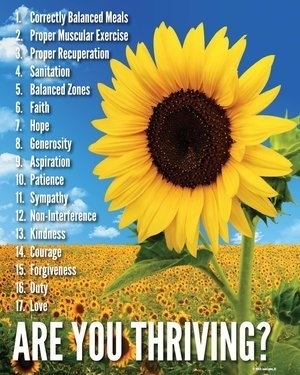 These posters are a must have for any Holistic Healer as a powerful tool to demonstrate the Mind/Body Connection in each treatment room as well as the reception area. They are also a great resource for any patient to have at home as a reminder that the key to being their absolute best is to maintain balance in all areas of there lives. *These high quality posters (18 x 24) are sold in pairs. disobeying the Laws of the body, mind, and soul. obeying the Laws of the body, mind, and soul.